Interested in becoming an Energy Consultant? 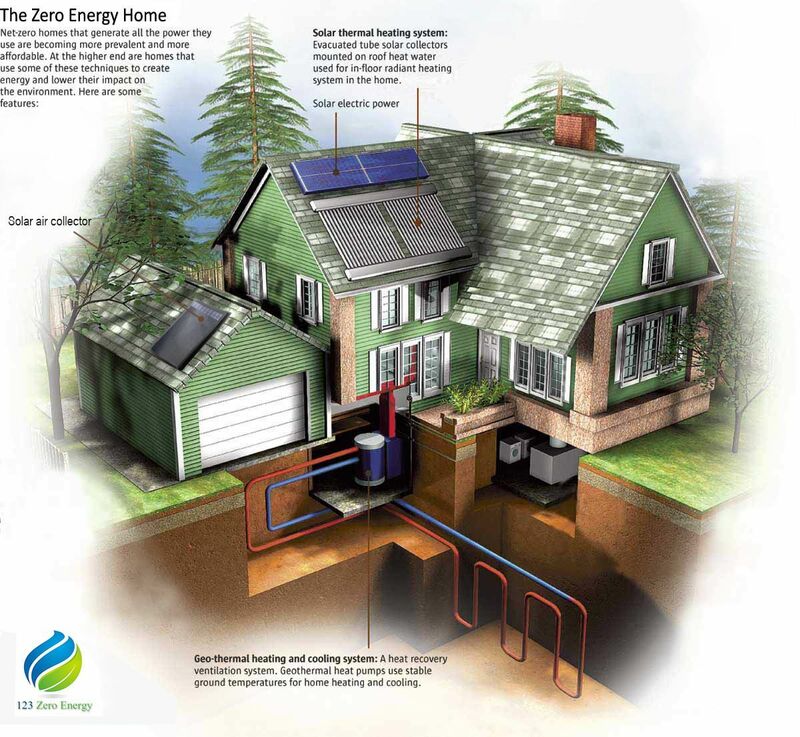 A Zero Energy Home is a home or cottage that uses Both Green Energy from the sun and wind in conjunction with existing Hydro Electricity or gas to provide a combined energy solution that nets the home owner zero energy cost. A Zero Energy home is made possible by utilizing the energy grid as the storage or battery for the system. Unlike previous off grid solar applications here are no expensive batteries and charge controllers required. A zero energy home has all the modern amenities of regular electricity and can work with any existing home or cottage or a new building. A Zero Energy home is achieved by using a bi-directional meter source at the home. This meter is almost identical to a regular meter with one major exception; it allows the meter to spin backwards when more energy is being supplied than is being consumed. These meters can be purchased at no cost from most Canadian Utility companies and in most US states. In fact in Manitoba, Hydro will come and install a bi-directional energy meter at no cost. At Northern Lights Solar Solutions we provide a turnkey solution of Plug n’ Save DIY energy systems that harness green energy and provide electricity back to the grid at a fraction of the cost of traditional systems. A complete 1200 square foot home can be retrofitted to a Zero Energy Home in just a few weeks and cost the home owner less than the cost of installing a driveway or an add-on such as a sunroom. And best of all the Zero Energy Home can be financed at very great rates and entitles the home owner to grants and incentives not found on other renovation projects.